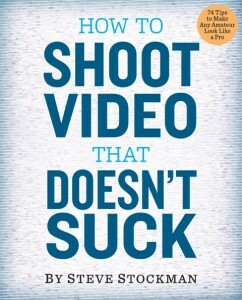 All of the posts on this page feature examples on how to shoot video from my new book. They’re self-contained, and worth looking at even if you don’t buy the book. Genres may seem limiting, but actually the expectations they set up can be fun to screw with– Witness this mashup of a musical and college admissions video from Yale.